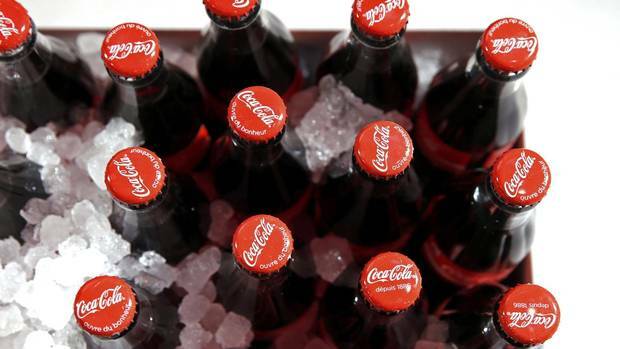 KIEV, Ukraine -- Ukrainian prosecutors have launched a criminal investigation into the online publication by U.S. drinks companies Coca-Cola and Pepsico of a map that showed Crimea as a part of Russia, a Ukrainian lawmaker said on Thursday. Coca-Cola last month said that the map had been changed by an advertising agency without Coca-Cola’s approval. Russia annexed the peninsula from Ukraine in March 2014, leading to condemnation from Western governments and the imposition of economic sanctions on Russia. Ukraine and most other countries have refused to recognise the annexation. Georgy Lohvinsky, a lawmaker from the party of Prime Minister Arseny Yatseniuk, quoted an official letter sent to him by the prosecutors’ office, stating that “officials of Coca-ola company and Pepsico abused their powers, which caused significant damage to Ukraine’s interests”. “Officials of Coca-Cola and Pepsi can go to prison. Prosecutors of Crimea have started criminal proceedings under Part 1 of Article 364-1 of the Criminal Code of Ukraine,” Lohvinsky wrote on Facebook. This article cited by Lohvinsky allows prosecutors to arrest suspects for up to three months.